Johannesburg, South Africa (ADV) – World Vision Malawi (WVM) ambassador and Malawian musician, Faith Mussa, is advocating for end of child marriages through music. According to The Nation Mussa recently recorded a song titled “Anawa”, during a regional launch of the WVM’s “It Take Malawi to End Child Marriage Campaign” in the country’s Mzimba District. The campaign seeks to raise awareness on child marriage and to ensure that the organisation’s programmes are streamlined towards ending child marriage. Mussa said the song relates to a true life story that a certain girl shared with him about how she left marriage and returned to school. He believes that the message he is sending through the song will inspire more girls who have left school to do the same. 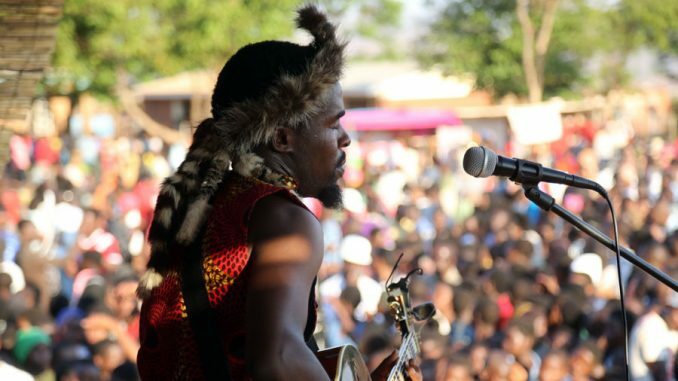 “Music crosses borders, it goes to places where we as musicians don’t even go and that is why I accepted this role in contributing to efforts in ending child marriages,” said Mussa. In Malawi, 42 percent of girls get married before the age of 18 and almost one in 10 are married before their 15th birthday. According to the United Nations International Children’s Emergency Fund (UNICEF), Malawi has the 12th highest prevalence rate of child marriage in the world.